Certified Nursing Assistants spend a great deal of time with patients. They measure and record vital signs, assist with the activities of daily living, assist with mobility, change sheets and keep the rooms clean, maintain medical equipment, assist with medical procedures, answer call lights, and report any concerns to nurses. Nursing assistants who work in long-term care facilities must obtain certification from the Florida Board of Nursing. Florida residents have the option to challenge the exam without taking a nurse aide program. However, those who fail the exam must enroll in and pass a state-approved nurse assistant course. In preparation for the delivery of the highest quality care, nurse aide candidates choose to enroll in education programs available at allied health schools such as those listed below. Graduates benefit from immediate employment as CNA jobs are in high demand. 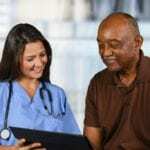 The Bureau of Labor Statistics projects an 11 percent growth rate for nursing assistant jobs from 2016 to 2026 – much faster than average for all occupations. The projected growth is attributed to the aging baby boomer population and the prevalence of chronic conditions among the senior population. 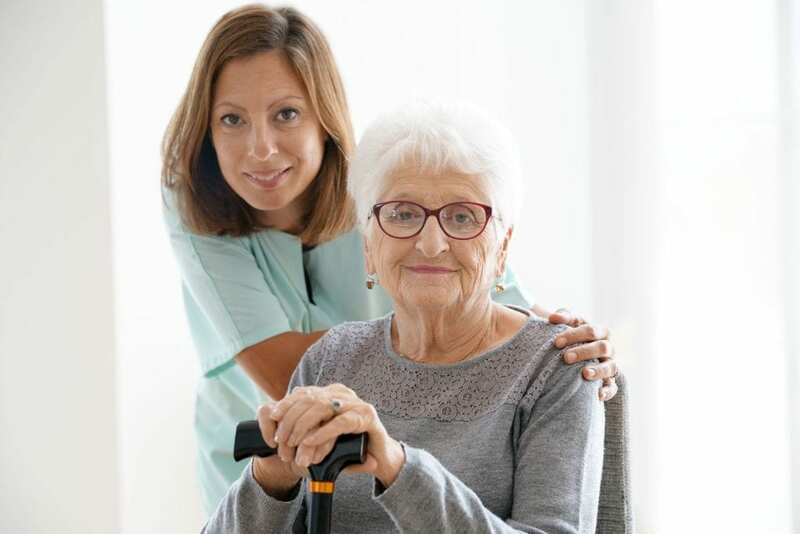 People are living longer, so there’s a greater need for health care professionals to attend to residents in nursing homes and assisted living facilities. The nursing assistant program at Haris Casel Institute is designed according to Florida’s guidelines for nurse aides. It prepares students for a rewarding career in hospitals, private homes, long-term care facilities and anywhere patients need basic care. The curriculum includes theory and practical learning opportunities to help students develop the skills to provide basic care under the supervision of a licensed nurse or other medical staff. Course topics include anatomy and physiology, introduction to healthcare, basic math and science skills, care of the cognitively impaired, restorative care, HIV/AIDS training, resume preparation, employability skills, and preparation for the state exam. Instructors use theory and hands-on demonstrates to teach basic anatomy and physiology, infectious diseases, and blood borne pathogens in the classroom. In addition, students are expected to complete 40 hours of direct patient care experience in a long-term care facility under the direction of a licensed nurse. This experience prepares students for success on the skills component of the state competency exam. Students will also gain valuable experience that will help them assume responsibility at work. At the conclusion of the program, graduates will receive certificates of completion for Domestic Violence, Alzheimer’s, HIV/AIDS, and First Aid. Graduates will also be eligible to sit the state certification exam for nurse aides to be added to the Florida Nurse Aide Registry. Tuition for the program is $865. Horizon Healthcare Institute prepares nursing assistant students to provide basic care under the direction of a licensed nurse or physician. Students acquire the skills to bath, feed, dress, and move patients. They also learn how to monitor patients for telling signs in the emotional or physical health, collect information to pass on to nursing staff, and care for special needs patients. Course topics include anatomy and physiology, infection control, patient transfers, law and ethics, vital signs, patient rights, communication and interpersonal skills, Alzheimer’s care, mental health, and death and dying. During the clinical activity at a skilled nursing facility, students will have opportunities to gain hands-on experience and develop clinical skills under the direction of a registered nurse instructor. Graduates are eligible to sit the state exam to become a Certified Nursing Assistant in Florida. Since Horizon is a state-approved test site, graduates will have the comfort of taking the test in a familiar environment. Applicants with a high school diploma or GED must schedule and take the TABE. The non-refundable registration fee is $100. The Articulated Nursing Assistant program at Eastern Florida State College includes classroom, laboratory, and clinical coursework to prepare students for employment as a Nursing Assistant. The curriculum covers 75 hours of theory and clinical instruction and emphasizes basic patient care principles and the role of the nursing assistant in the delivery of care as part of a health care team. Course content includes but is not limited to anatomy and physiology, basic nursing skills, personal care, patient safety, rights and independence, patient transfers, observation and reporting, infection control, safety and emergency, nutrition, Alzheimer’s care, and hospice care. Supervised clinical experiences at a local health care facility will reinforce the classroom topics and support the development of clinical skills. Before providing care for live patients in this setting, students will also have the opportunity to practice their skills and see the results using Human Patient Simulation Technology in the school’s lab. For more information about program requirements, contact the school’s specialized Admission and Advising office. Keiser University prepares adults for a rewarding career as a nursing assistant. The 120-hour program lasts for 6.5 weeks. Students must 12 hours per week for the classroom and clinical sessions. The clinical session covers 40 hours in a long-term care facility to help students put the classroom theory to practice. Course topics include anatomy and physiology, infection control, the role and responsibility of the nurse aide, observation and reporting, medical terminology, laws and ethics, personal care, communication and interpersonal relationships, vital signs, basic nursing skills, and nutrition. Students also learn how to maintain patient safety, respect patient rights, assist patients with daily functions, move patients from the bed to the wheelchair and vice versa, answer call lights, and share concerns with nurses or other members of the healthcare team. At the conclusion of the program, graduates will be eligible to sit the State of Florida CNA licensure exam. Students who miss classes repeatedly will be dismissed from the program. Criminal convictions will affect students’ ability to participate in the clinical segment of the program.